After 26 games played, there were joy, relief and tears! Perpignan: No Miracles and lots of tears and disappointment for a team that was one of the stalwarts of the rugby of the South. The team has played its last game in the Top 14 and has now joined its south-western neighbours Biarritz. The two teams who will play next year in Pro D2. Perpignan is another big club that will leave the Top 14, 100 years after winning the first of their five French title championships and with as many years playing in the “elite”. It is hard to believe that in 2009, Perpignan was the reigning champion in the top flight of the French league and had managed to attract into their ranks none other than the (then) IRB player of the year Dan Carter. 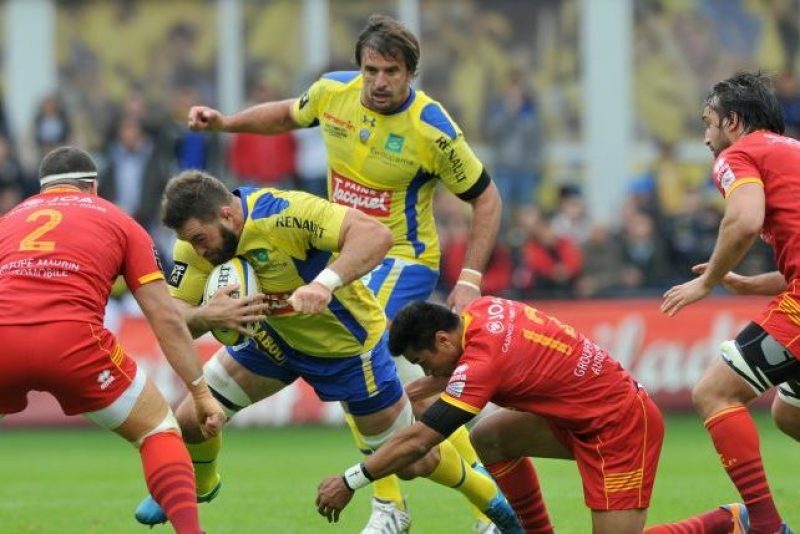 For Perpignan to remain in the Top 14, they had to beat Clermont Auvergne, in the Stade Michelin – something that no other team has been able to achieve since 2009! While the game could have gone either way, it was not meant to be for Perpignan and the score-line of 22-25 reflects how close the game was. Joy and relief for Toulon: after a 17-15 win against Stade Français, Toulon finished on top of the Top 14 and thereby qualify for the semi-final, also earning themselves the right to a rest before a busy finish with the hope of winning the two titles (Top 14 and H-Cup). For Stade Français, the defeat meant a seventh place overall, so no play-offs for them! Montpellier played the perfect game to hammer Racing Métro 44-10 and to qualify for the semi-final. Despite losing, Racing Métro finished fifth overall and Johnny Sexton and his team-mates will compete in the play-offs. However, Racing Métro will have to step up their game if they wish to go all the way to the final. Toulouse won against Grenoble 38-8 with the bonus and secured an overall fourth place which means that they will play at home the quarter final against Racing Métro. Toulouse keep improving and, with the home advantage to come, the dream to lift the “Bouclier de Brennus” for a twentieth time is still alive. What a relief for Bayonne! The Basque region will still have a club in the Top14. Bayonne had to beat the reigning champion Castres to remain in the Top 14. This was their final! And the players of Bayonne did not collapse under the pressure. Quite the opposite, in fact – they shone strongly and brightly and won by 23-13. It was a case of mission accomplished for Oyonnax: they did not win the game 17-19 against Brives but did secure the losing bonus point and will remain in the Top 14 next year. What a success for Oyonnax! Their story highlights how hard it is to play in the Top 14: Last year, Oyonnax were Pro D2 champions and this year they have managed to remain in the Top 14 but only by the narrowest of margins. Union Bordeaux-Bègles did win 54-10 against Biarritz in a game without a lot at stake. For Biarritz, it was their last game in the Top 14 and most probably their focus is already on next year Pro D2!